Lots of new equipment here for your event. We have been collecting band equipment (for my band!) and now it is also available for rental! We just keep updating and improving the speakers, mixers, cables, stands, every year making way for the new powered speakers, QSC, Mackie, and now Yamaha. These 15″ Yamaha DRX series are amazing, the most capable speaker we have seen yet. Also some Yamaha 10″ and a subwoofer for smaller events, spaces, and needs…its been my “go to” rig all summer long! LED lighting and a variety of dance floor lighting…to make your party fun, memorable, and colorful. New Soundcraft 600 Gigrac integrated mixer. This mixer is great for coffee house bands, and small venue dj-ing. Two peavey PR 12’s for monitors or mains. Tons of new effects, cables, other gear. Subwoofer: HPR151i 15″ Powered SubwooferCheck out the link for more info. For high-level dance music or reinforcement of bass instruments and kick drum, an HPR series subwoofer will add low-frequency extension and power to any sound system. The 700 watt power module is capable of producing 133 dB peak SPL with frequency response down to 43 Hz and sound quality that rivals many 18″ subwoofers. A top-mounted 35mm pole socket is provided for use in sub/satellite systems. 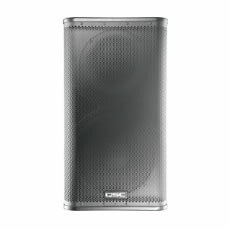 SPEAKERS: 2 QSC 122i powered speakersCheck out the link for more info. By far the best speakers out there. Ask about pairing with a Sub for huge low end bass action! Do not get fooled by DJs that use plastic speaker boxes, old amps and who don’t embrace new technology, like the ipod or laptop computer for producing music! 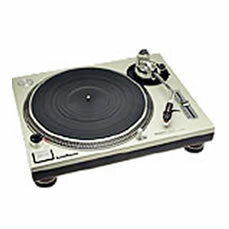 TURNTABLE: 2 Technic 1200sIndustry standard turntable. Not recommended for bouncy barn floors when the reception gets rocking. For that we have an iMac computer, 3 ipods and CD player. MIXER: Allen and Heath Xone 02 Stereo DJ Mixer The sound out this mixer is incredibly clear and without distortion. The bass is rich and smooth unlike other lower end mixers. The mids and highs are very crisp.